The one-sheet poster has been released for Quentin Tarantino’s forthcoming film Once Upon a Time in… Hollywood. 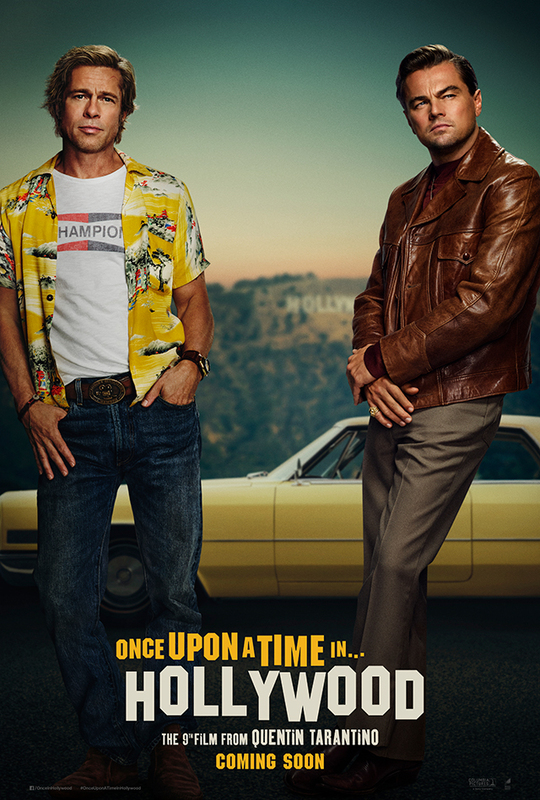 Quentin Tarantino’s Once Upon a Time in… Hollywood visits 1969 Los Angeles, where everything is changing, as TV star Rick Dalton (Leonardo DiCaprio) and his longtime stunt double Cliff Booth (Brad Pitt) make their way around an industry they hardly recognise anymore. The ninth film from the writer-director features a large ensemble cast and multiple storylines in a tribute to the final moments of Hollywood’s golden age. Once Upon a Time in… Hollywood also stars Margot Robbie. The film will be released in UK cinemas on 14th August 2019.